Its Keren here with two new projects for the Blue Fern Studios blog. As I usually create layouts, I really wanted to to create something different that comes from my heart. 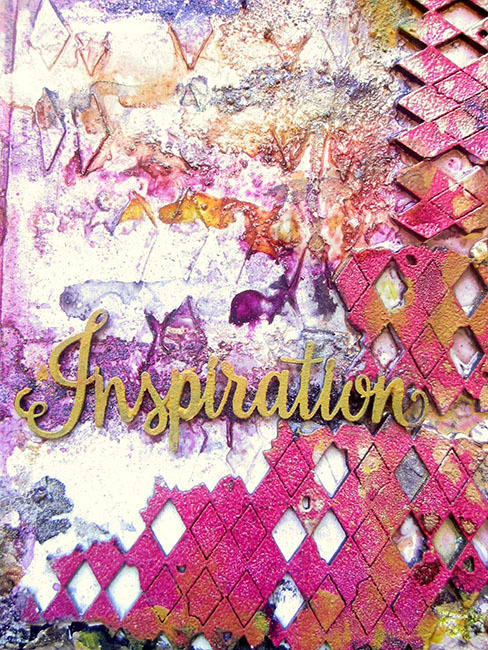 I felt art journaling was the best way to express how I feel and to experiment with the chipboards, embossing powders and glitters. 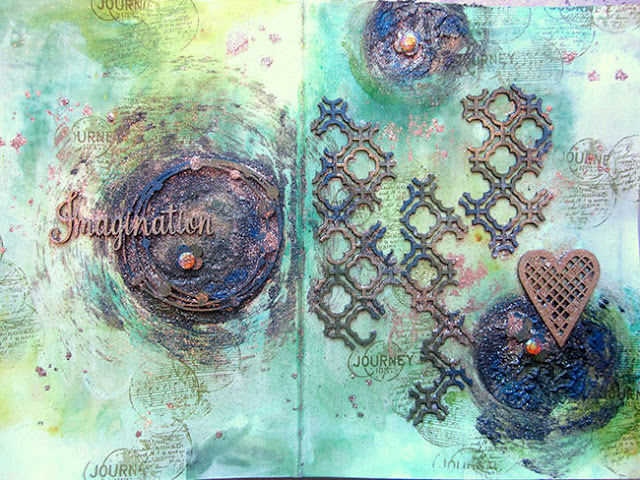 I also really wanted to create grungy mixed media pages so I added lots of texture and movement. First I inked the background in green and yellow tones. Then I stamped the background using the Journey and Textured circles stamps. The circle was created using thick texture paste. 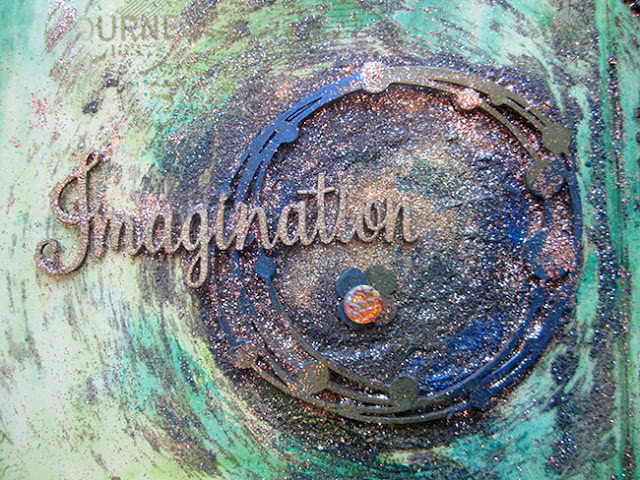 Then I sprinkled embossing powder on it and heat dried it. 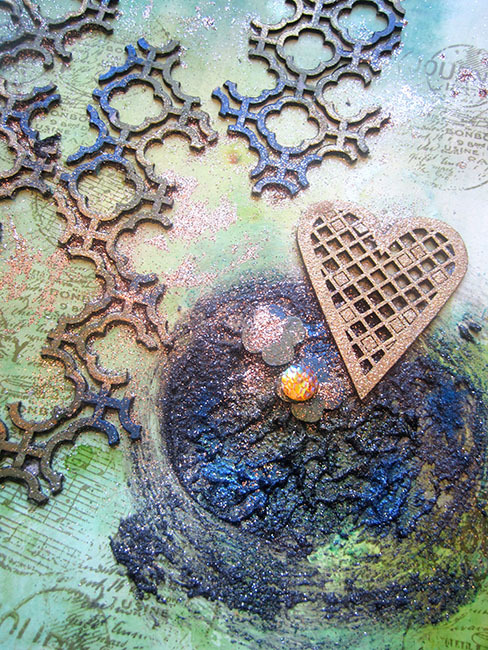 Finally I glued the beaded string chipboard piece that was embossed in verdant and seven seas embossing powder. The Serendipity imagination title was embossed in the 14 Karat embossing powder. 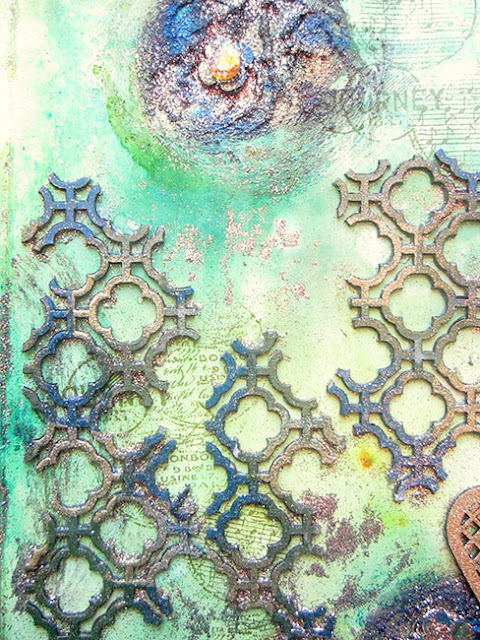 I also used the lattice bits on my page which were embossed in seven seas, verdant and 14 karat embossing powders, too. The heart was embossed only in the 14 Karat embossing powder. I also sprinkled some Fool's gold glitter on the background. 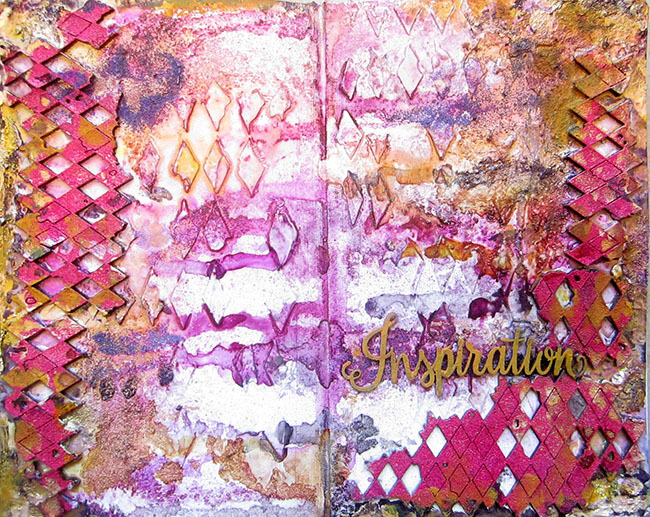 This is my second grungy texture mixed media journaling page. This time I used a different set of colours and textures. The tattered diamond bits chipboard was embossed in raspberry embossing powder. 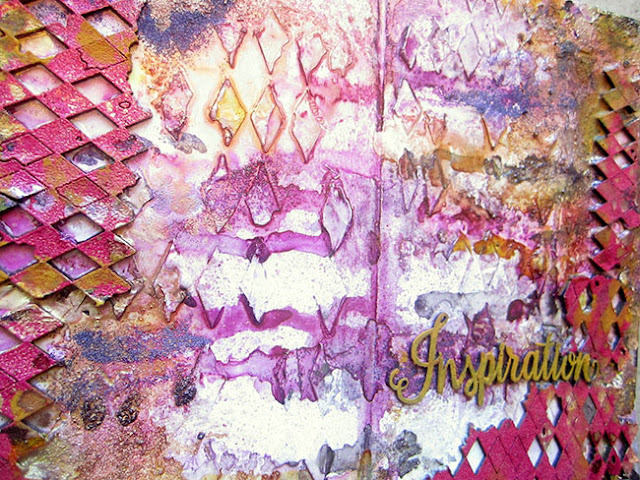 The Serendipity Inspiration word was embossed in the poinsettia embossing powder. April Socia Media Features and YOU! !